He is a winner of the Grand prix du roman de l'AcadÃ©mie franÃ§aise in 1972, the Prix Goncourt in 1978 for his novel Rue des boutiques obscures and of the Nobel Prize in Literature in 2014. Modiano studied at the Ã‰cole du Montcel primary school in Jouy-en-Josas, at the CollÃ¨ge Saint-Joseph de ThÃ´nes in Haute-Savoie, and then at the LycÃ©e Henri-IV high school in Paris. While he was at Henri-IV, he took geometry lessons from writer Raymond Queneau, who was a friend of Modiano's mother. He received his baccalaureate at Annecy but didn't proceed with his higher education. His meeting with Queneau, the author of Zazie dans le mÃ©tro, is crucial. Modiano was introduced to the literary world by Queneau, and this gave him the opportunity to attend a cocktail party given by publishing house Ã‰ditions Gallimard. He published his first novel, La Place de lâ€™Ã‰toile, with them in 1968, after having read the manuscript to Raymond Queneau. Starting that year, he did nothing but write. On September 12, 1970, Modiano married Dominique Zerhfuss. "I have a catastrophic souvenir of the day of our marriage. It rained. A real nightmare. Our groomsmen were Queneau, who had mentored Patrick since his adolescence, and Malraux, a friend of my father. They started to argue about Dubuffet, and it was like we were watching a tennis match! That said, it would have been funny to have some photos, but the only person who had a camera forgot to bring the film. There is only one photo remaining of us, from behind and under an umbrella!" (Interview with Elle, 6 October 2003). From their marriage came two girls, Zina (1974) and Marie (1978). Modiano has mentioned on Oct 9, 2014, during an interview with La Grande Librairie, that one of the books which had a great impact on his writing life was 'Le cÅ“ur est un chasseur solitaire' (The Heart is a Lonely Hunter), the first novel published by Carson McCullers in 1940. 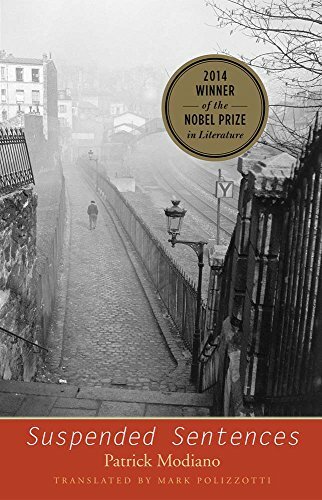 One of the hallmarks of French author Patrick Modianoâ€™s writing is a singular ability to revisit particular motifs and episodes, infusing each telling with new detail and emotional nuance. In this evocative novel the internationally acclaimed author takes up one of his most compelling themes: a love affair with a woman who disappears, and a narrator grappling with the mystery of a relationship stopped short. 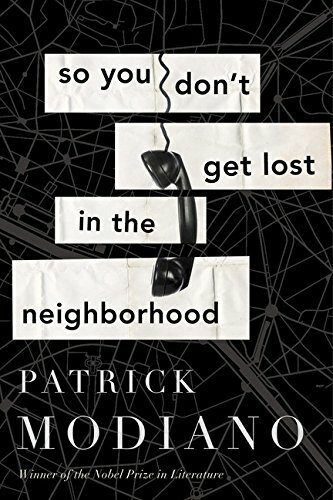 Set in mid-sixties Paris, After the Circus traces the relationship between the narrator, a young man not quite of legal age, and the slightly older, enigmatic woman he first glimpses at a police interrogation. The two lovers make their uncertain way into each otherâ€™s hearts, but the narrator soon finds himself in the unsettling, ominous presence of others. Who are these people? Are they real, or simply evoked? 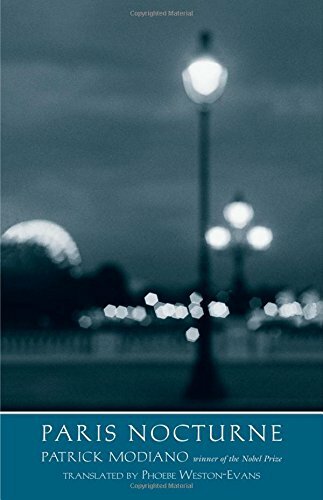 Part romance, part detective story, this mesmerizing book fully demonstrates Modianoâ€™s signature use of atmosphere and suggestion as he investigates the perils and the exhilaration of young love.